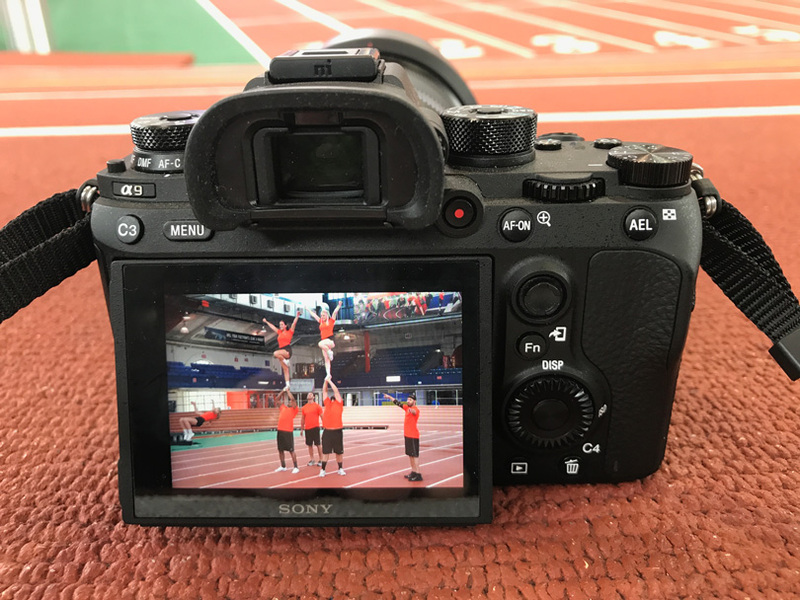 The Sony a9 camera was mine for a day. What a great experience! I wish you could hear the Sony a9 capture 20 frames per second. But you can’t because it doesn’t make any sound at all. There are a lot of things the Sony a9 does that are different than any other cameras. The a9 changes many things about taking photographs, and when you look at the big picture, it defines a whole new realm of possibilities for photographers, no matter what kind of photographs you as a photographer make. It’s the first in a line of cameras, and one can only presume based on Sony’s release of cameras in the past, that it’s gong to be a fun 2017. I’d like to start off by thanking Sony for putting on one of the best camera launches I have been part of (and I have been to a good number of them in my career). I was one of approximately 30 other journalists and content providers invited to New York City a week ago to the launch event. But more than that, it was a day of shooting with the a9 camera and experiencing some incredible venues. Sony gave each of us an a9 camera, 24-70mm G-Master lens, along with a 70-200m G-Master lens, and a Sony 128GB SF-G Series UHS-II SDXC Memory Card and said, “Have at it!” The morning consisted of shooting hockey and figure skating at the Chelsea Pier, followed by a track and field event that included pole vaulting, cheerleading, ping pong, long jumping, races, hurdles, karate and a portrait setup. All perfect activities for testing out the a9. It was very obvious that this camera launch was very important to Sony with the number of North American and Japanese executives present. I’m sure the costs were high, but for Sony, this launch for the a9 changed the game for the company and clearly elevated their status from being a consumer level camera to a true pro camera. They proved that as a company they listen to their customers and deliver what their customers ask for. Ask yourself how many other big camera makers, specifically Canon and Nikon, are doing that. Sony’s clear intent was to draw a line in the sand to say, “We are now making the cameras pros will want to use,” and, “We are making glass too,” and, “You haven’t seen anything yet!” And knowing Sony, that is all true. One can only begin to imagine what will come next. I’ll give some of my own predictions later on in the article. Before I go too far, I’ll summarize a few things. Yes, I liked this camera, and it was one of the most fun cameras I have shot with in a long time. Many people have commented on the forum as well as emailed me to ask whether Sony had fixed the pathetic battery life that previous Sony cameras had. The answer is, I was able to shoot over 3200 images (actually double that, as I was capturing RAWs to one card and JPEGs to another), doing a lot of chimping, using the tilting rear screen in live view to shoot many low angle shots — all while doing this all at 20 fps — and I did it all on one battery. The new battery, while Sony says gives 2.2 times the performance of their A7 predecessors, delivers way more. Being an a7 and a7r II owner, I was ready to change batteries often and wondered how Sony thought we were going to shoot all that they had planned on only 2 batteries. I don’t believe anyone in the group ever switched out batteries during the event. Yes, I was so impressed I ordered an a9 right away. Also, I ordered the new 100-400mm G-Master lens. That lens is amazing and will round out the collection of G-Master glass that I already own. More on G-Master glass in an upcoming article. Why do you ask? Because I live in Indianapolis close to the Indianapolis Speedway, and if there were ever a perfect place to use this system, it is there. Plus, I like to shoot bears in Alaska, as well polar bears in Svalbard, and wildlife in general. The a9 may also be the first camera that a bird shooter can use. There is no viewfinder blackout during shooting, the AF tracking is incredible, so the birds and bears will never hear me capturing a photo. Kind of important, especially when shooting bears. My experience with the a9 was fantastic. However, I did discover an issue, and it even perplexed Sony. I’ll cover the issue below. In all fairness, the firmware we were using was still beta, so hopefully, Sony will have fixed the problem I found by the time of the release. Being a photographer, I know if I were reading a review, I would want to see images from this camera, and I have done just that further below. Using a system we have been pioneering, I have included an extensive selection of images that you can view at 100%. Some images are presented individually and some as part of a gallery. Click on any image and you will see an enlarged version of it. You’ll see a magnifying glass. Click on any part of the image you want until you are reviewing it at 100%. You can see the magnification on the bottom right of the image. Move your mouse around on the image to move the image around inside the window of your browser. If you are in a gallery, you can use the right or left arrows to move from one image to the other or reverse. When you are finished, click on the arrow in the upper left corner to be taken back to the article. I hope you enjoy this feature. I have included comments on each image or gallery of images. I must admit that with the introduction of a new camera, I was expecting a new form factor for this camera. In the beginning, before I moved my full-frame camera to a Sony, I was very skeptical about the ergonomics and feel of the a7 series cameras. They were very industrial in design. This is a change from the smoother and curvier DSLR cameras on the market. When the a99 was introduced, I thought Sony was moving to a different camera design with a more rounded feel. As it turns out, the a9 is not much different in overall body size and design. However, Sony did make some significant additions and modifications. The right side of the Sony a9. First and foremost is the addition of a joystick on the back of the camera. I just love this feature. When shooting, it is so easy to move the focus point to where you want it without having to take your eye away from the viewfinder. The joystick doesn’t stick out too far so you don’t accidentally move it. It has it’s own feel, so you know when your thumb touches it. Frankly, I would not have purchased this camera without the joystick. The video record button has been moved to the right of the viewfinder. I find this an awkward placement, but at least I am not pushing it accidentally like I have so many times with the a7 series camera. To the right of the video record button is the AF-ON, or rear focus button. This is the first time this feature has been placed as a dedicated button and shows again that Sony listened to its customers, as this was a feature many shooters would have to program a custom button for. 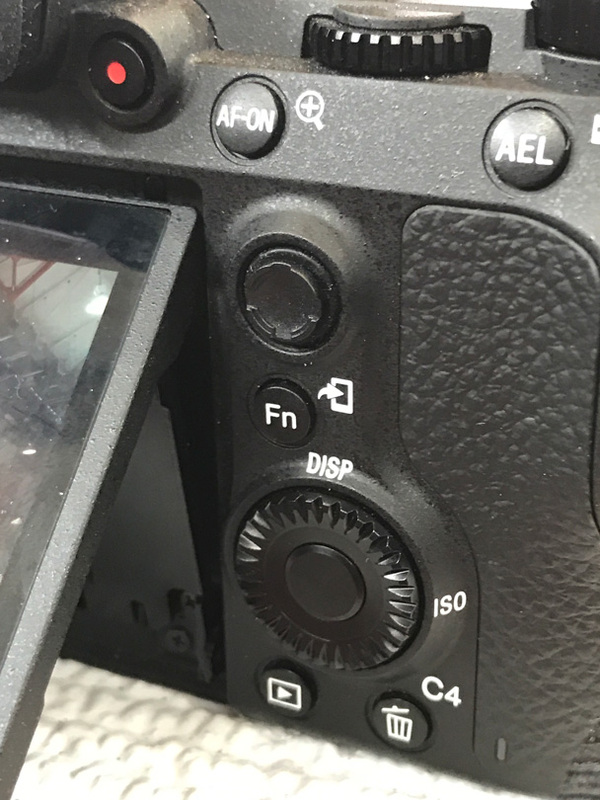 The Auto Exposure Lock (AEL) button is to the right of the AF-ON button. I like this, as the buttons have enough distance between them to easily be recognized with a bit of practice. 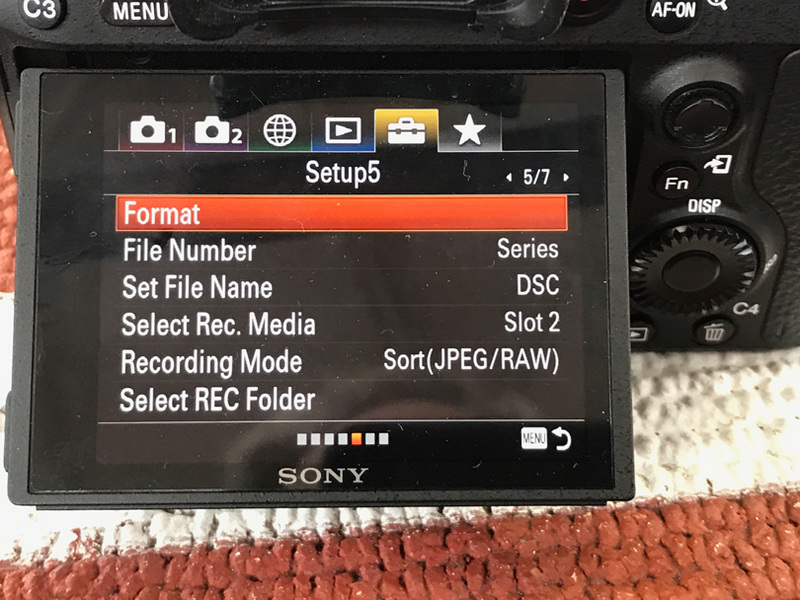 The FN button is like other Sony cameras and opens up a Quick Menu of the most familiar settings you might want to change. Some of these settings on the a7 series have now been moved to top left top of the camera and are incorporated into a clever dial arrangement. More on this below. The Dial Wheel, as I call it, can be pushed up to change the various display options and pushed to the right to access the ISO menu. The Trash button can also be set as a Custom button. There are four custom buttons, and these can be assigned in the custom setting of the main menu. In all, there are ten buttons that you can assign for any one of 72 functions. The top left of the camera, which on the a7 series camera was flat, now has a two-tier dial setup. This dial setup controls two features that were only accessible by the menu or FN menu on the A7 series cameras. These two dials allow the setting of the AF modes and shooting modes. 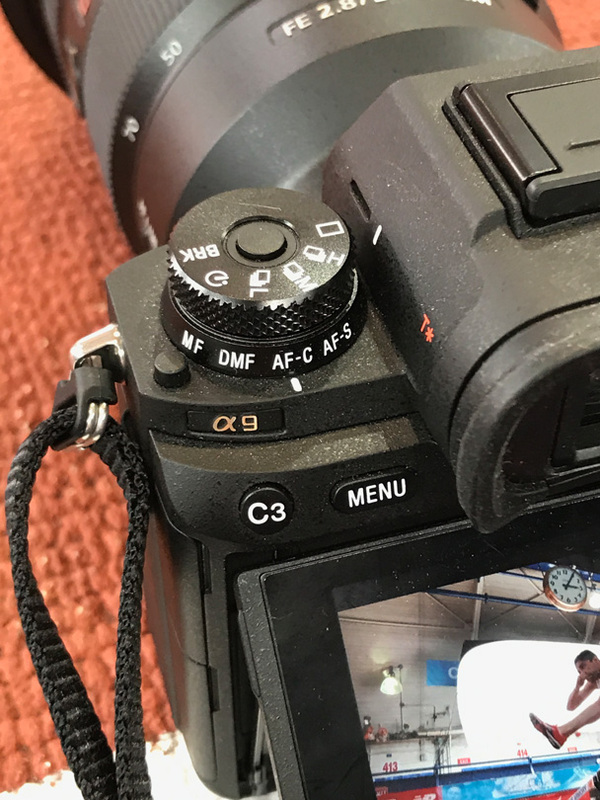 The AF mode choices are MF (manual focus), DMF (Digital Manual Focus), AF-C (continuous Auto Focus), and AF-S (Single Auto Focus). You still must access the FN menu to choose the zones for focus. During my shooting with the camera, I used AF-C and then tracking, with a lock on medium. More on this below. The dials have two lock buttons. One locks and unlocks the lower dial and the center button locks and unlocks the upper dial. Below the dials are a custom button (C3) and the Main Menu button. The viewfinder housing has a diopter dial on the right and also has two built-in microphones for left and right channel records. I learned that the accessory shoe cover should be in place when not being used. It keeps moisture from the contacts on the hot shoe and thus prevents possible issues. I am always losing these and will have to make it a point to have extras on hand. The top of the camera hasn’t changed that much from the previous version. There are front and rear dials. These control f/stop and shutter speed. The exposure compensation dial is in the same place as before and easy to use with your thumb while shooting if needed. 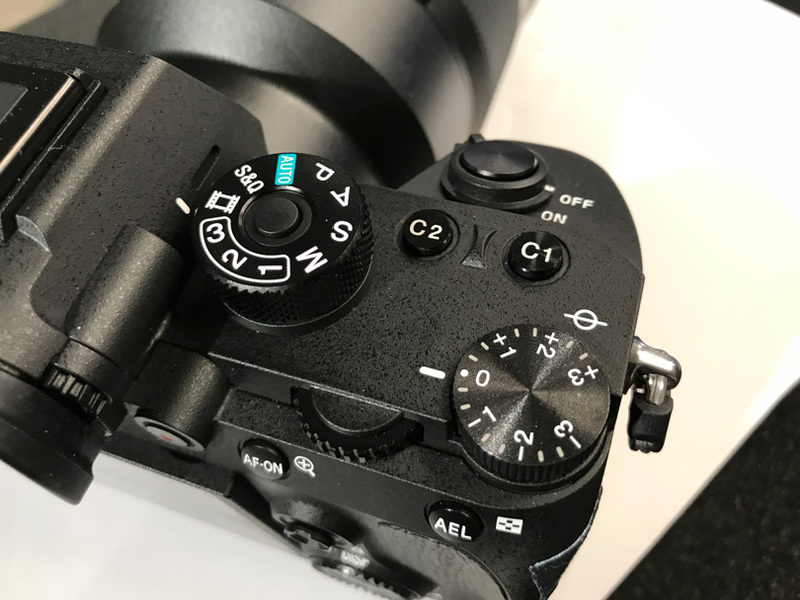 The shooting mode dial allows choosing the standard modes of “P” Program, “A” Aperture Priority, “S” Shutter Priority, and “M” Manual as well as three programmable custom modes, and complete auto and movie mode. The camera grip itself felt a bit bigger and was comfortable while shooting all day handheld. The viewfinder has improved a lot. The 3.6 million dot EVF is beautiful and almost life-like. The refresh speed of 120 fps makes it feel as though you are not looking at something electronic. It’s bright and has great contrast and color. The EVF of many cameras has consistently been getting better and better. This EVF made using the camera feel as if I was looking through a DSSLR viewfinder. You can choose a number of different views in the EVF allowing you to see a level, histogram and all relevant data of camera operation. Something new in the latest release is a write to card status in the upper left of the viewfinder. It is very nice to see after a multi-frame shoot how many exposures are being written to the card and how many are left to write. A lot is going on in the viewfinder during shooting. You’ll see focus confirmation, ISO, Shutter speed and F/stop information, as well as an indicator frame showing you that you are capturing images. I liked this frame as you can see the moment an exposure is captured and that you caught that moment. The shutter of this camera is silent. It’s very strange to shoot with an entirely silent camera, especially 20 fps. I eventually turned the artificial shutter sound on; the audio feedback made me feel better. The rear screen is a tilting touch sensitive display. It’s very bright and easy to see in bright conditions. While I like to use a joystick to select a focus point, you can also touch the rear screen to set a focus point. I found this tilt screen beautiful mainly because I shoot at ground level without having to lie on my stomach. Shooting a few of the sporting events like the long jump made this a real welcome feature. 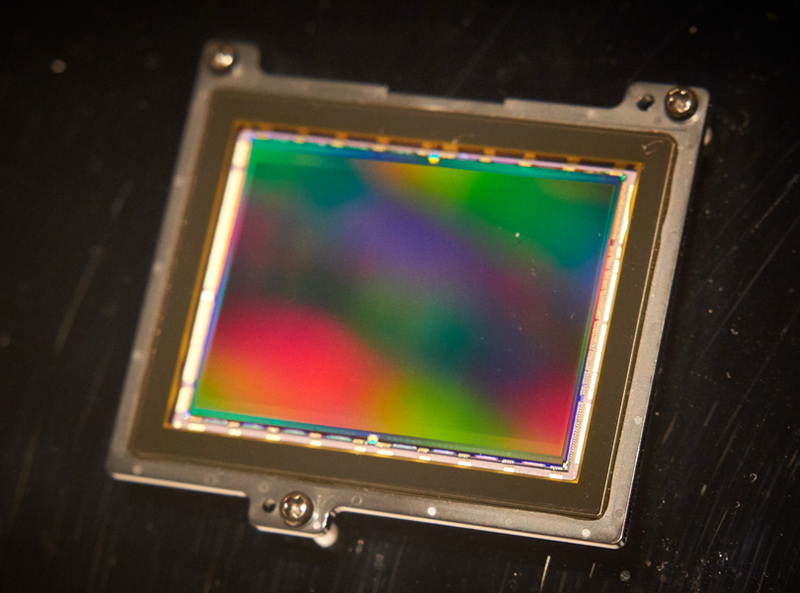 The NEW stacked sensor is real innovation in a camera this size. The stacked sensor has been around a while in much smaller sensors like you would find on a phone. The Stacked sensor in a full frame size allows all sorts of possibilities. The sensor has an ISO range of 100-51,200, and if you are feeling adventurous, you can stretch it from 50 to 204800. Not sure why you would do that, but it is an option if you choose to use it. The shutter speeds without a mechanical shutter are astounding at 1/32,000 of a second. I’m making it a goal to find something to shoot at this shutter speed. Based on what I shot, it was somewhat difficult to see what the dynamic range could be. When the camera I ordered arrives, I will put it to the test on a few of the things we weren’t able to do while shooting on the day I had the camera. The chip produces a 14-bit file, and I was shooting most of my images at ISO 12,800, and I didn’t hesitate a minute to shoot this way. There are many sample images below. I believe if I were working with RAW files and not out of the camera JPEGs I would have even better results. Phase One provides a version of Capture One with the purchase of the camera. Capture One works extremely well with the files from my a7II and a7r II. I can only imagine what it could do with the RAWS from this sensor. Sony has made big advances on what they have been criticized the most, and that’s the menu system. The new menu system introduced with the a6500 is a vast improvement from the previous menus. But it is still an issue. While somewhat more intuitive with numbered screens and a rather logical layout, the menus still need a lot of work. Let me share what I found to be an issue. This camera finally has two SD card slots. 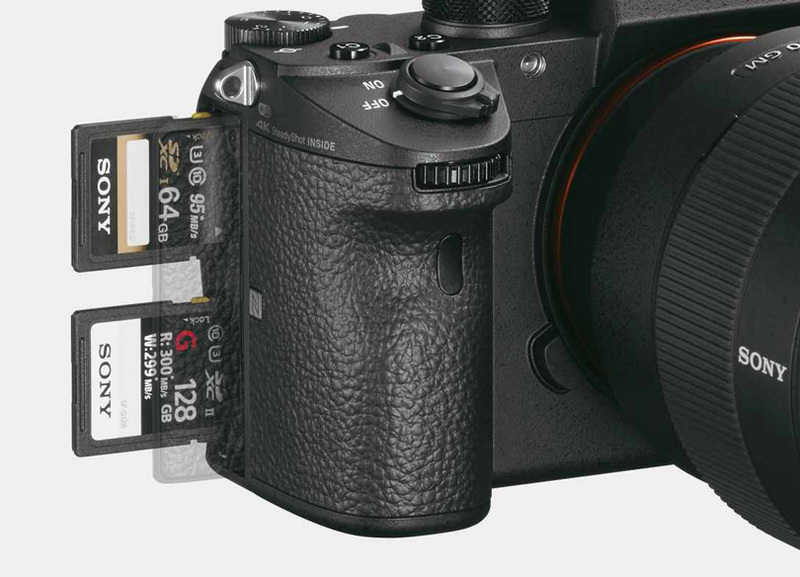 One of these card slots is designed for the ultra fast UHS-II SD cards. The other slot uses normal SD cards and is not UHS-II compatible. Since I knew we were not going to have a RAW processor to process our images, I put one of my own cards in the #2 slot so I could capture RAWs on the fast card and JPEGs on the second card. Sounds simple, doesn’t it? Not the case. You would expect that there might be a menu selection like other dual card slot cameras that allows you to set very quickly the ability to do a number of things with these card slots. For example, one may wish to shoot continuously and when one card slot is filled have the camera automatically select the card in the #2 slot. Or, you may want to capture two sets of RAWs as an assurance in case one card goes bad. How about something simple like RAWs on one card and JPEGs on another? Well, they left this out, or at least in a way that would make it simple. 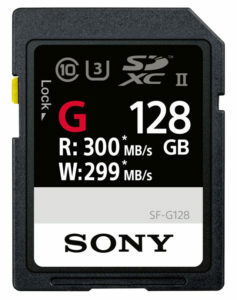 I had to ask a Sony person how to set this up to shoot RAWs and JPEGs on separate cards. IT just so happened that I stumped the man. He eventually figured it out by switching and making selections in a few different menu screens. Once set in this awkward way, I would be able to tell you how to repeat it if I was able to capture the images the way I wanted. I do hope that we see this fixed before final release. In all fairness, this was still mostly beta firmware. You would think though that this would have been caught before the cameras were given to us to use. I’ll report back once I receive the camera I ordered. Speaking of menus, Sony has refined them somewhat. The look and feel of the menu systems are somewhat more logical but lack intuitiveness. For many of the choices, you are left scratching your head on what the menu selection means or what the setting even means. The menus now have numbers for each screen, and there is one logic, but then there are times where you have to jump around to several menus to get the job done. The whole menu thing could be simple. Others have done it. 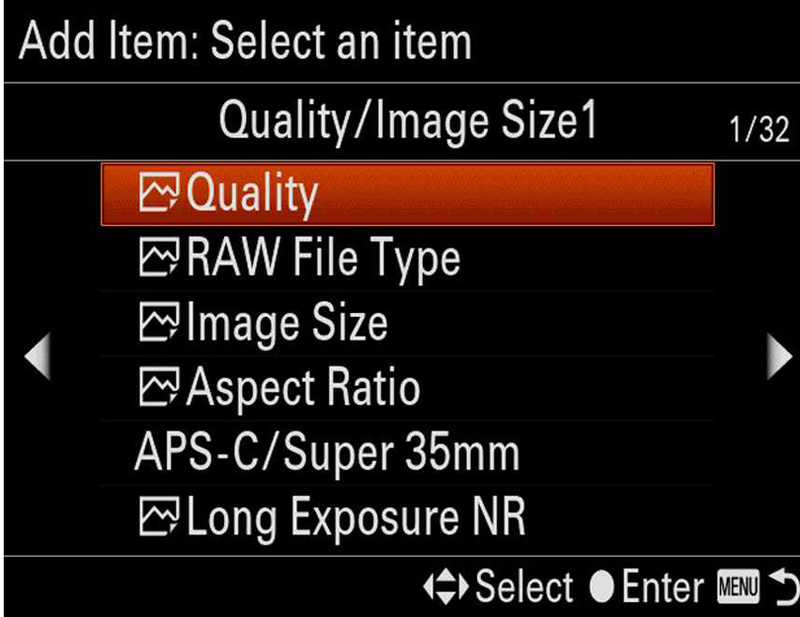 Sony, time to invest in a more intuitive menu system for your cameras. Let me know if you need help. By the way, kudos to Sony on a new latching mechanism for the card slot door. There is a button you push to unlock and pop the door open, one of the many small refinements made to the camera body that adds up to a more refined camera body. Also, I was told the lens mount has been strengthened and is much stronger compared to previous versions. This is not a waterproof camera. It’s stated as being weather resistant with lots of seals to keep moisture and dust out. I have had the Sony a7r II in some real nasty weather, and it has held up just fine. I would expect the a9 to be just as trustworthy. 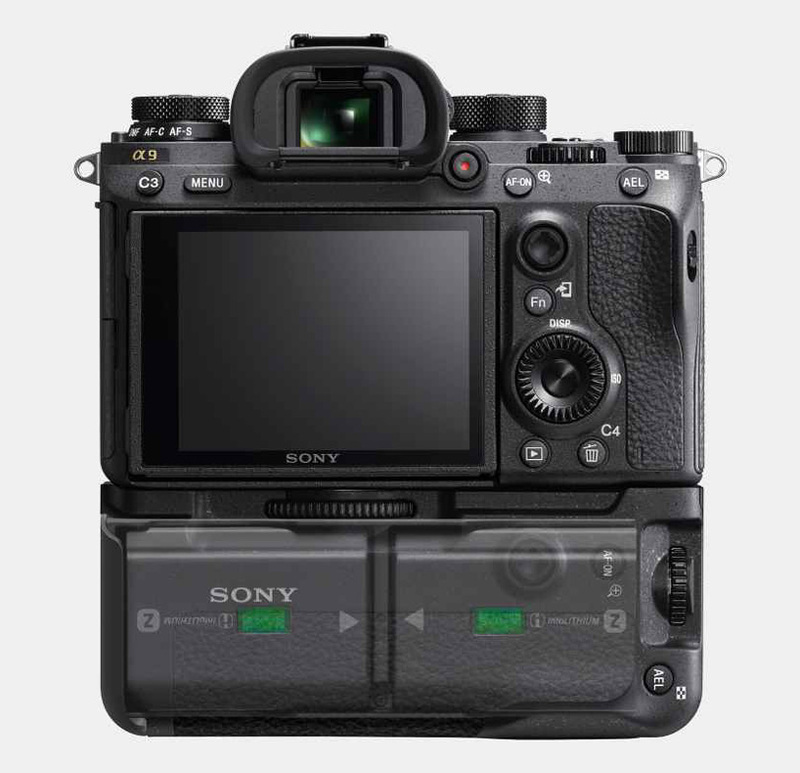 With the Sony a7r series, you would always need a pocket of batteries. It was one of the cameras main criticism. The batteries were small, and I found that I would run through batteries at an incredibly fast rate. I also found the battery grip indispensable. Even with the grip, I would average maybe 500 images before I needed to replace all the batteries with fresh ones. So naturally, I was expecting the same with the a9 and was surprised when they handed the batteries out and we were given only one extra battery. I figured they must have a ton of batteries available for us if needed. Well, the battery issue is no longer an issue, at least compared to the a7 series. I shot for a full day taking several thousand images and chipping a lot along the way and never needed to change the battery. The battery for the a9 is larger but not by a lot. I ordered the battery grip figuring I would need the extra power. It will be reassuring to have the extra power even though I may not need it. Speaking of the vertical grip, it is very nice with two extra batteries. The grip adds, at least for me, the added bulk for my large hands, and it is still much smaller than the Nikon D5 or Canon 1DX. The a9 will shoot 4K video, but it seemed pretty obvious that this camera was not meant to be the video equivalent of the a7s II. There is no S-Log, or a lot of the other things expected for a mirrorless camera. 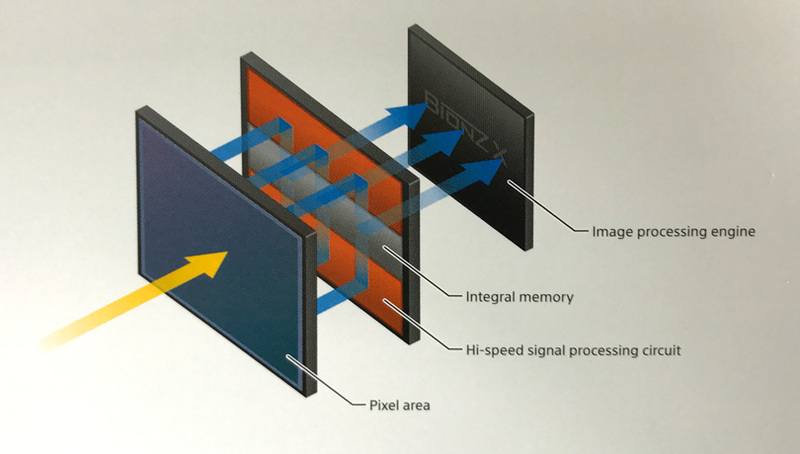 To me, this signals that somewhere in the future, and hopefully the not-so-distant future, that we will see the a9s become a camera for shooting video with all the features we have on the a9 but focused on low light and video. Of course, this is pure speculation, but Sony is just not about to introduce a camera like this and be finished. Remember last year they added eight new cameras. I think we have only just seen the beginning of what Sony has up their sleeve. What can I say? As you have probably figured out, I had a lot of fun shooting with this camera. Photography for me is about the image and the fun of creating it. I like a camera that doesn’t get in my way and lets me concentrate on the capture. The a9 does just that. Being very familiar with Sony cameras, I went into the day of sports and action shooting with a lot of anticipation. I learned on my Alaskan bear trip last year that I could capture some amazing images if I could set my shutter speed high, f/ stop where I want it, and let the ISO be the variable. So, that’s how I set up my shots for the images below. I used the Auto ISO setting and set the ISO from 100 – 12,800. I knew that ISO 12,800 would yield good images without a lot of noise and grain. I think back to my film days and figured I was having a good day when the best ISO I could get was 800. I set my f/stop to around f/6.3 or f/8. This would give me some depth of field for my subject but still allow background separation. I also used C-AF for Continuous Auto-Focus. Using the FN menu, I then set the camera to Focus Area AF – Extend Flexible Spot. The frame rate was set at 20 fps. I now had a super camera in my mind. The only thing I was not sure of was whether the AF in continuous mode could track and keep a subject in focus. Sony didn’t seem to have an issue with this. They would never have set us up to shoot ice skaters, hockey players and track and fielders if they didn’t think the camera could handle it. And, handle it did. All of us that were shooting were amazed and had a lot of fun. We continually chipped and checked to see how the focus was doing. It worked great — simple as that. Using the setting I described above, I would aim the camera then push the shutter button halfway down with the focus spot set on the subject. Once it locked on more focus point squares would light up, and as I tracked the subject, I could tell that the focus was locked on. As I pushed the shutter down to expose, I could see what I was capturing, and each frame captured flashed a frame in the EVF as a confirmation of the image captured. This kind of shooting was a lot of fun. We were all shooting a lot of images, and we quickly realized how hard editing could be with so many captures. Nonetheless, it was a lot of fun. We were all challenged by what we were shooting. Below is a large collection of images I captured. As mentioned above, you can click on any image to zoom in to see the image at 100%. Have some fun and take a look. I’m probably pretty rusty at shooting sports, but having this chance reminded me of how much fun it was to shoot action and sports. When I receive my camera, I intend to find some birds and wildlife. This camera has all the potential of being a birders favorite camera. 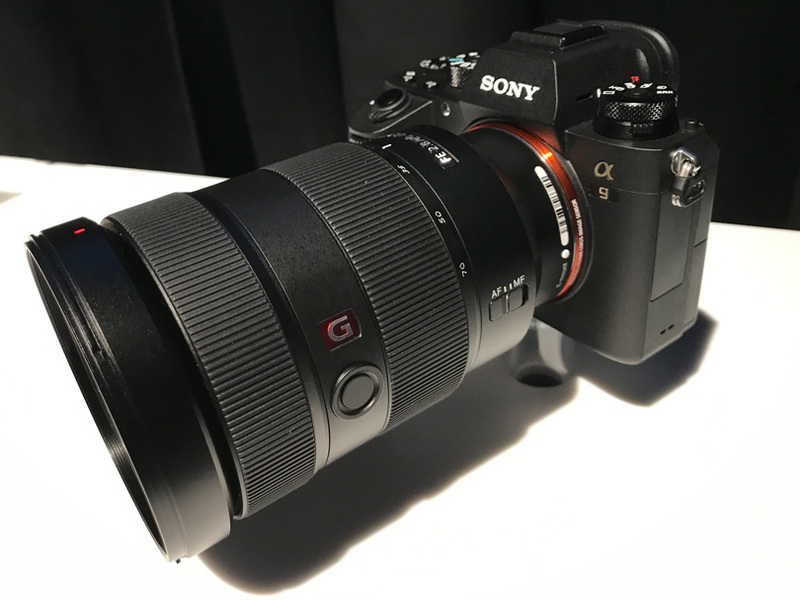 Sony provided all of us with a 24-70mm G-Master lens and a 70-200mm G-Master lens. I own both of these lenses already, as well as the 85mm and have an order in for the 100-400mm. The only lens missing is the 16-35mm G-Master, which has been rumored to be arriving soon. I shot all the images below with the two lenses that Sony provided. I will test and report on the 100-400mm when I receive it. Sony has a winner on its hands. Frankly, I went into this press briefing hoping for a large megapixel camera. This has been the year for medium format, and I thought Sony might be going after that market with a 50 MP or more full frame camera. However, I was pleasantly surprised by the a9 announcement and particularly the stacked sensor technology. I also thought we might see a new body and was kind of disappointed that Sony kept the a7 series body, with some nice modifications. It became apparent to me after I put my selfish interests aside that Sony was following through on their goal of being a pro camera. The a7 series camera, while nice, had its drawbacks and was never actually accepted by the pro market. The deterrent was dual card slots, good glass, and especially the lousy battery performance. Please, don’t get me wrong, I love my a7r I and a6500 and RX100V cameras. They are performers and deliver incredible image quality and splendid dynamic range. But I’m not a real pro. For the most part, I go out to find a shot and take my time shooting it. I understand why pros were shooting with DSLRs. Sony knew this too, and they listened. They continually have refined their cameras until they could launch their first true pro camera. If you are a pro sports shooter, then this camera is for you. If you are a journalist and are covering an event where you don’t want to draw attention to yourself, then this camera is for you. If you are a wedding photographer wanting to shoot stealthily and make no noise while shooting a wedding ceremony, then this camera is for you. I used to shoot movie stills, and we had to use blimped cameras. This camera is definitely for the movies stills shooter. And, if I were a spy and wanted to go unnoticed, then this is the camera I would choose. Or, maybe you are just like me, an enthusiast who wants to shoot birds and not be heard. The a9 will find plenty of market segments that will want it. It is clear that Sony listens. It is also very clear that Sony wants the top dog position. 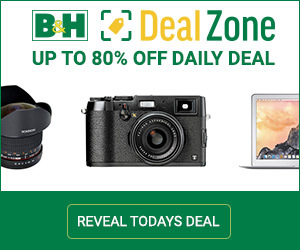 They have now officially gained the number two position of selling full frame cameras, dethroning Nikon. They now have their sites on Canon. Like Canon, Sony has been introducing a new line of glass called the G-Master line. These lenses are said to be able to resolve to at least 100 mp sensors. What Sony lacks now is glass. While the G-Master lenses are really good, they do not reach out with prime glass in the 300-600mm range. 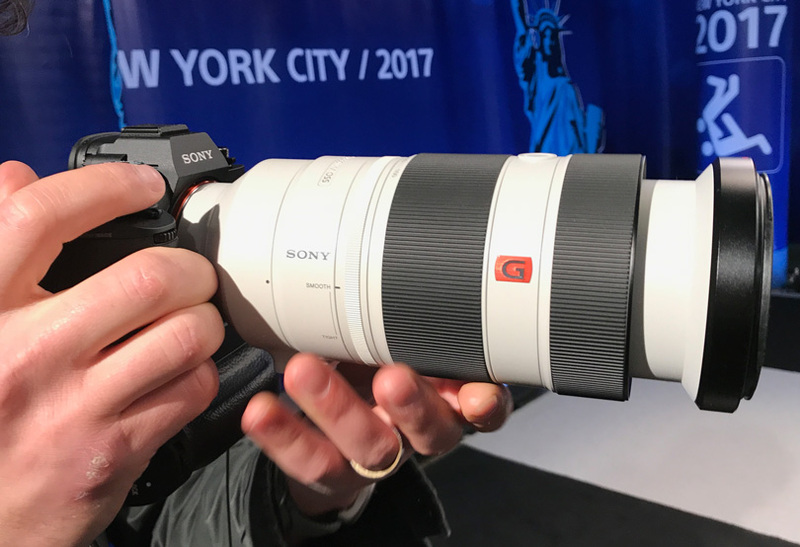 I’m sure Sony is aware of this, but in order to succeed in the pro market, especially serious journalists and sports shooters, Sony will have to introduce some serious prime lenses. The G-Master zoom lenses are seriously great. I will have a report on these in the not-so-distant future. If Sony adds some long primes, there may not be a lot to stop them from being the king of this market. As Michael and I have said many times over the last few years, we are surprised that Canon and Nikon have not moved into the mirrorless market. I’m sure after the introduction of the a9 that Canon is considering how to respond, or not. Frankly, I just don’t see a long-term future for mirror box cameras. At this juncture, Canon and Nikon, even if they were going to enter the mirrorless market, are going to be in catch-up mode. Without question, Sony is making the best sensors. Nikon depends on Sony sensors, as does almost every camera maker. Canon makes their own sensors and as some experts have said, they are a few years behind Sony. I suppose in a few years we will know for sure. The future of photography and cameras will be in the sensor. There is a lot of talk about the Global Shutter. If the Global Shutter becomes a reality there will be no mechanics in a camera. 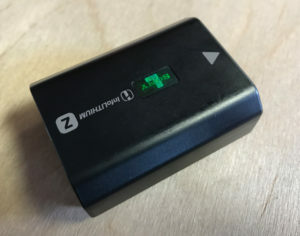 Exposure will be made by turning the sensor on and off. Today’s sensors, for the most part, are rolling shutters. They scan an image from top to bottom from a sensor. A Global Shutter will scan the whole sensor in one shot. 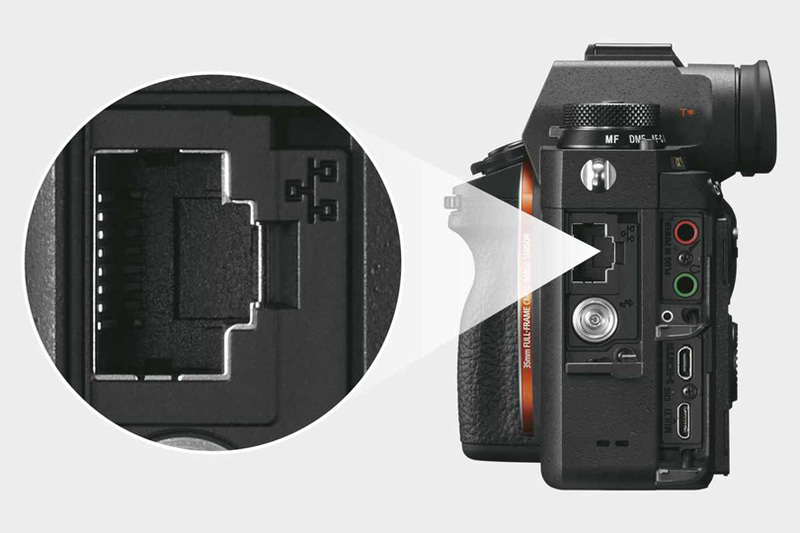 We may be getting ahead of ourselves, but the stacked sensor in the a9 makes us a step closer to the global shutter. To ensure that they are attracting the pros, Sony needed to go one step beyond hardware. That would be excellent customer service. Sony announced with the a9 a Pro Service offering. They will also open up a walk-in Pro Center in New York and Los Angeles. If they do this right, they will also be at major sporting events with a loaner and a service center for the pros. Let’s hope Sony is as aggressive with this concept as they have been with their cameras and lenses. The a9 and G-Master glass are not inexpensive. Sony has entered a whole new level of pricing with the introduction of a9 camera priced at $4498.00 USD. The Nikon D5 sells for $6496.95 USD, and the Canon 1DX goes for $5999.00. Sony has positioned themselves well. What time will tell is how many photographers are willing to switch camera platforms. Considering there would have to be multiple camera bodies and a complete set of glass, the change over will not be for the faint of heart. One could argue that you can adapt other glass to the a9. In the long run, though even if the other guy’s glass was fast focusing, it is not the ultimate solution. However, you have to start somewhere, and Sony has made sure that their start in this marketplace places them as a strong contender. Time will tell. My hat is off to Sony. They have produced an excellent camera, and their new G-Master glass is a good start on offering the Pro a worthy system for consideration. As I have said, shooting with this camera is different because it doesn’t make any noise. Can you imagine the day where there is a major press conference, and you see photographers with hundreds of cameras, and yet it is entirely silent as you wonder if they are taking any photos? That day may not be too far away. The a9 is surely the beginning of a new line of cameras from Sony that will only grow from here and hopefully fast. I love good gear. I have owned and invested in a Sony system for some years now and look forward to adding the a9 to my inventory as well as the 100-400mm lens. Sony has proven many things in the last few weeks. They listen, they understand, and they deliver what is asked for. Now if they could only find someone to help them fix their menus. Hey, Sony, I’m volunteering! Bottom line, I’m putting my money on Sony. Can’t wait unit the a9r arrives. I am excited to see what will be announced next. Sony A9 with Grip Extension Kit at BHphoto. The following galleries were created so you could see what the images from the a9 look like as far as shooting sequence as well as close-up. Eaach image can be clicked on to be viewed at 100%. You can move around the image with your cursor. Click on the image until you zoom to 100%. Use the left and right arrow icons on the image to move forward or backward. All shooting data is indicated on the image. You shopuld note that some sequences have a lot of images and this was easy to do when shooting at 20 fps. Also, there are good examples of how well focus tracking works as you move from one image to the other. I hope you enjoy this feature of Luminous-Landscape.